An Ahn Jung-geun statue is just the latest example of China and South Korea uniting over Japan’s not-so-glorious past. On October 26, 1909, the Korean Ahn Jung-geun walked to the front of a crowd on the platform of Harbin’s railroad station, pulled a pistol out of his lunchbox, and began shooting. His targets were a group of Japanese officials who had just disembarked from a train. Ahn’s shots wounded four and killed one: Ito Hirobumi, who was then serving as Japan’s Resident-General of Korea. 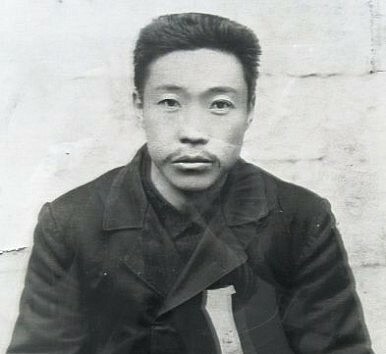 Ahn was hanged for his act in March 1910, a few months before Japan formally annexed the Korean Peninsula. Ahn’s historical reputation — whether freedom fighter or terrorist, patriot or criminal — has been fiercely debated ever since. The argument gained renewed vigor this week when South Korean President Park Geun-hye let slip that China has agreed to work with Korea to build a memorial for Ahn in the Harbin railroad station. Japanese newspapers swiftly picked up the story, sparking a mini-crisis in the already shaky relationship between South Korea and Japan. In reaction to the news, Japan’s Chief Cabinet Secretary Secretary Yoshihide Suga said that building a monument for Ahn “is not good for Japan-South Korea relations.” Ahn, he said, was a “criminal.” The South Korean Foreign Ministry begs to differ. According to a spokesperson, Ahn is a patriot who gave his life for Korean independence and peace in East Asia. If Japan would reflect on what it did to neighboring countries during that time, the spokesperson continued, it would become obvious that Suga’s statement is ridiculous. It’s not surprising that China would side with South Korea over Japan on this issue. The two countries often find common ground in criticizing what they see as Japan’s lack of contrition for its actions during the early 20th century. Any Japanese actions that seem historically insensitive, from official visits to the Yasukuni shrine to insensitive remarks about the Koreans and Chinese who were forced to serve as “comfort women,” not only help isolate Japan from its neighbors, but also provide a bonding experience for China and South Korea. This time, the whole point of erecting a statue in China honoring a Korean martyr is to send a message to Japan. China and South Korea are both wary of what they see as a return to Japanese militarism under Abe Shinzo. The announcement that the two countries are collaborating on a monument for Ahn sends a clear message to Japan: China and Korea are firmly united in denouncing Japan’s period of imperialist expansion. According to Chinese State Councilor Yang Jiechi’s assessment of his meeting with Korean President Park Geun-hye, South Korea-China relations have begun a period of “new development.” It’s not a coincidence that Park’s remarks about a monument to Ahn Jung-geun came out during the same meeting. Ironically, though news of the monument has appeared in newspapers in Japan, China, and South Korea, no one seems to have informed the local government in Harbin. According to China’s CNR, a Harbin government official said they had no plans to erect a statue of Ahn, and they had not received any notices from higher authorities about the matter. Perhaps actual construction on the statue will begin later — the next time China and Korea agree that Japan needs a not-so-subtle reminder of its controversial history.